Miami Forklift Certification, Get Your Employees Forklift Training Miami! Miami is located on Florida’s southeastern tip and is known for its vibrant culture, turquoise waters, and hot entertainment scene. But Miami isn’t all fun and games. The city needs to be maintained, repaired, and expanded to remain safe, modern, and to accommodate a growing population. Equipment workers like forklift operators are needed in many situations to meet the needs of a fast-paced city. If you’re looking to start a new career in Miami, or you’re an employer of forklift operators who need the right credentials and training materials to comply with OSHA and keep your employees safe, you need forklift certification Miami from ForkliftCertification.com. FLC offers a trio of training packages for Miami forklift operators. Each one provides thorough training, exceptional resources, and forklift certification in Miami. Once your training and test is complete, you can print your Miami forklift certification right away! For employers, forklift certification in Miami is important. OSHA doesn’t allow any powered industrial truck operator to run a forklift without proper training. If your company has a forklift accident, OSHA audits and inspections will follow – and they’ll want to see your employee training records. If you can’t prove your forklift operators have the right credentials, steep fines will be levied. In some cases, companies are fined more than $100,000 for OSHA safety violations. That’s why FLC’s forklift certification in Miami is perfect for both employers and employees. OSHA compliance isn’t impossible to obtain – in fact, it’s easy with FLC! Get your Miami forklift certification today – you can’t afford to be non-compliant! Forklift training is an educational course that can be taken online or in-person. Prices range depending on the structure of the course and how it is being held (live and in-person or self-paced and online), but the information taught must be the same and include all of OSHA’s requirements. For example, forklift training must teach the fundamentals of operating different types of forklifts, how to navigate the controls, how to inspect and maintain the equipment, how to recognize and avoid hazards, and how to prevent accidents. All of this information is crucial to both new operators and experienced veterans alike. Forklifts update over time, and the training must as well. This is why, if you want a career as a forklift operator, you need your forklift certification. Proper training is important for all types of forklift jobs in Miami because it increases a worker’s productivity, and reduces the chance of any accidents occurring. Forklifts can be dangerous when they are driven by untrained workers, and most accidents are caused by operator error. Employers simply won’t hire an applicant who doesn’t have this vital training under their belt because they want to avoid liabilities and fines from OSHA. What Makes Miami Forklift Certification So Important? Not only will a Miami forklift certification help prevent accidents in the workplace that cause injuries and fatalities, it will also help you to perform as best you can as an operator, and help your employer be successful and remain compliant with OSHA. An employee with forklift training Miami signifies that they understand proper safety protocols, OSHA regulations, and take their position seriously. But not just any forklift training course will do. You need to look for OSHA certification Miami in order to receive all of the information you need to work safely and efficiently. An OSHA-compliant course will be the best and most comprehensive for providing the information you need as an operator to protect your life on the job. 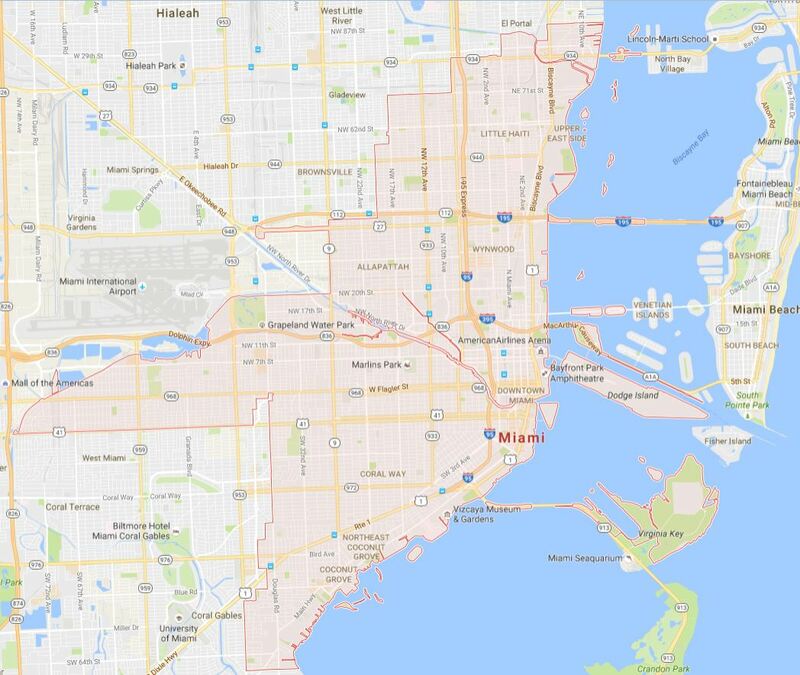 What Forklift Jobs Are Available in Miami? Miami is known for its waterfront scenery and beaches, and many certified operators can find dock worker jobs at the marinas. Forklifts are also required in retail warehouses, and when it comes to fashion in Miami, there is no shortage of retail companies to work for. Additionally, forklift workers who have a forklift certification Miami can find positions at these top companies in Miami, including Amcor PET Packaging, American Airlines, Canon Latin America, Caterpillar Americas Services, and Cisco Systems. How Can I Complete My Forklift Certification in Miami? Once you decide you would like to pursue a forklift career in Miami, you need to look for a forklift training Miami program that covers all of the important topics described above. It is also important to be compliant with OSHA and look for a program that follows OSHA’s regulations. However, that doesn’t mean training has to be expensive, inconvenient, or time-consuming. You can check off all of the requirements for training and follow all OSHA guidelines with an online program. The course from FLC saves you tons of time and money by allowing you to work through the course at your own pace and from any device with an internet connection. You’ll have 24/7 access to the online course and will receive a printable OSHA certification Miami as soon as you’re done. ForkliftCertification.com offers workers an efficient, comprehensive, convenient, and affordable option for Miami forklift certification that is also 100% OSHA-compliant. The program is the best option for those who want to be fully prepared and qualified to operate forklifts as fast as possible and to impress employers with their high-quality education. The Miami forklift training program takes only about one hour to complete, and can be taken online from any device. Your new forklift operator career in Miami is only a few steps away, and costs only $299. Create an account today and qualify for all of the best forklift jobs in Miami the same afternoon! If you’d like to speak with our OSHA compliance and training consultants, give FLC a call at (888) 278-8896. We’ll get you started today with your OSHA Miami forklift certification. Thanks for visiting FLC – we look forward to helping with your forklift certification in Miami!